• How can I grow my school? 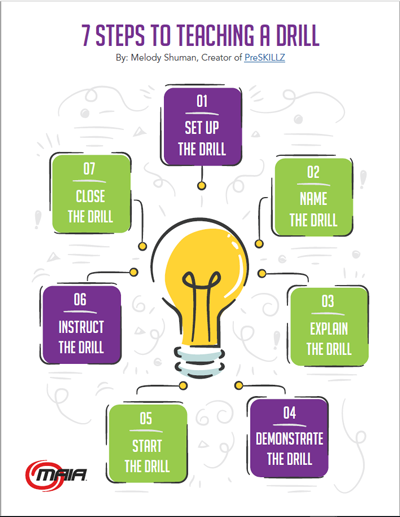 • How can I help my students improve faster? • What do I need to do to make this year better than last year? • What impact can I have on my students this year? • How can I get motivated and re-energized? • How can I motivate and energize my staff? • How can I improve myself in 2018 and beyond? The 2018 MASuperShow is the place to find your answers. Whatever you’re looking to learn or accomplish, you’ll find it in Las Vegas this July. 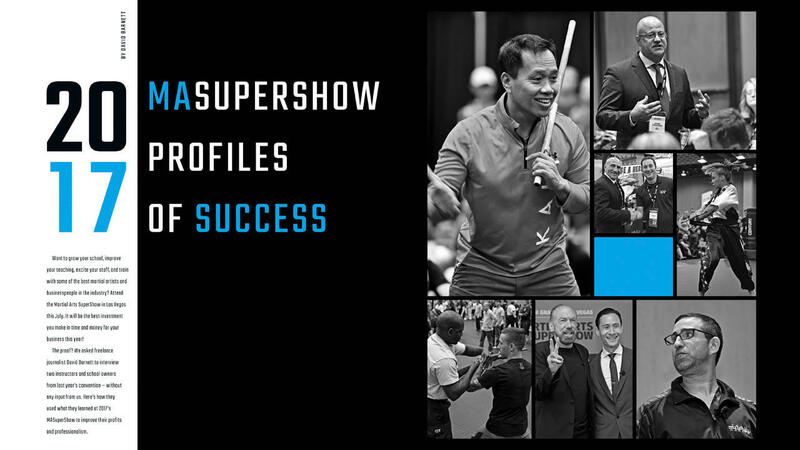 From opportunities to learn from the biggest and brightest (and most successful) school owners in the country, to the chance to train with some of the best martial artists around today, there’s something for everyone at the 2018 MASuperShow. It will be the best investment you make in time and money for your business this year! Here are two profiles of success from the Show. He adopted student agreements, and the opportunity to help parents save money if they paid in full for his 12-month basic program. Reymundo Gonzalez, Jr. is a 7th-degree black belt in taekwondo, holds rank in several other martial arts styles, and is a certified instructor in Verbal Judo. He’s the owner and head instructor of his Corpus Christi school, where he also offers aikido training. Gonzalez recalls why he began attending the Martial Arts SuperShow in 2010. “I was curious to see what the SuperShow was all about, and I was looking for ideas to improve my school,” he explains. He found what he was looking for and has been attending the Show ever since. your staff. He’s also a fan of the variety of seminars and various topics, from how to run a business, marketing techniques, instructing and training. He says the trick to succeeding and growing your school is to take what you learn at the Show and implement some new ideas. Gonzalez has nearly 150 students and is growing. He talks about some of his successes. “We implemented student agreements, and the opportunity to help parents save money if they pay in full for our 12-month basic program. This helps with our financial stability. Another change he made to make his classes more efficient was his class schedule. Gonzalez will definitely continue to attend the SuperShow in 2018. “I use the SuperShow for staff development to help my staff, including myself, stay motivated and excited, and continue to learn and grow. In 2015, his school was about to close when he and his wife attended their first SuperShow. They returned with ideas, knowledge and motivation that turned their school business around. Now they have 210 active students! Chris Hamm is a 4th-degree black belt in taekwondo. He’s the owner and head instructor of his Harker Heights, TX, school, where he teaches taekwondo and krav maga. In addition to his regular classes, his school has a Tiny Tigers program for 3- to 4-year-olds, and Black Belt Club and Masters Club programs for his 210 students. In 2015, Hamm’s school was on the verge of closing. Attending the MASuperShow was their last hope to keep the school alive. The Hamms come to the Show with goals in mind. “We wanted to gain the knowledge that would save our school, to discover that ‘missing piece’ that we didn’t have,” he says. “It was like having a huge puzzle with missing pieces and no reference. We knew that the puzzle could be a masterpiece, but we didn’t know what those pieces even were. Their first SuperShow gave them the ideas, knowledge and motivation to turn their school around. Now, they want to continue building on those successes and keep growing. People who succeed are those who take things they learn at the Show and implement them. Hamm learned about the importance of creating systems within his school, to make his business run more smoothly and efficiently. Improving their school also gave Hamm the confidence to increase their prices. At the SuperShow, Hamm also learned techniques and methods for marketing in local schools.